The average U.S. household consumes tens of thousands of kilowatt hours of electricity each year, and much of it is completely unnecessary. Making changes as simple as adding a few energy-efficient appliances and turning off gadgets when you're not using them can save you a significant amount of money while also reducing your carbon footprint. Unplug electronics, gaming consoles and chargers when not in use. Insulate your water heater with a blanket and turn the temperature down to at least 120 degrees. 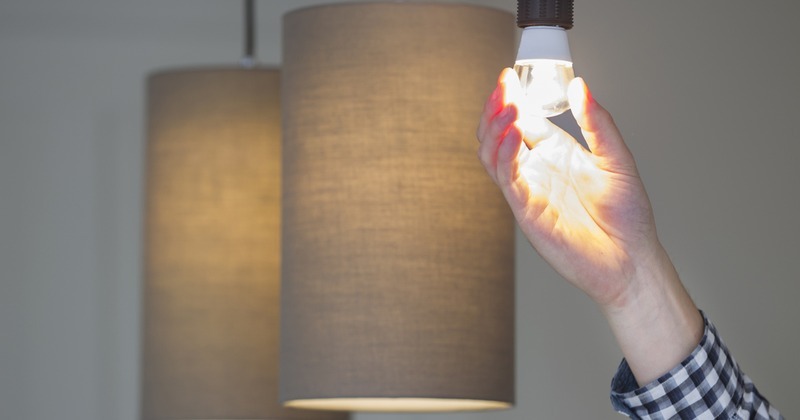 Replace bulbs with LED or CFL bulbs and turn them off anytime you leave a room. Schedule an energy audit and replace your thermostat with a programmable unit. Using insulating drapes to help diffuse winter chill. Just make sure to open any south-facing drapes to take advantage of the sun's natural heating capabilities. Finding and sealing air leaks. Check your windows, doors and pipes, and use weather stripping or caulk to stop cool air from seeping in. Closing fireplace dampers when not in use. You can also have the entire flume completely sealed off if you use your home's heating system exclusively. Reducing your energy consumption not only makes a positive contribution to our planet, it also leaves money on the table for fun fall pastimes. With just a few of these small changes, you can get more from your energy budget.